Luigi Vandi is a Research Fellow at the Dow Centre for Sustainable Engineering Innovation, within the School of Chemical Engineering. He has a diverse background in materials science, ranging from advanced manufacturing, in-life performance and end-of life conversion to higher value products. 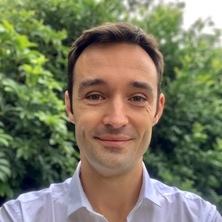 He obtained his PhD on hybrid materials from The University of Queensland, and his MSc from the National Polytechnic Institute of Lorraine in France. His translational research activities have a strong focus on industry relevant projects. His experience in high-performance composites manufacturing for automotive and aerospace applications, includes working at Ferrari F1 Team in Italy, where he was responsible for the manufacture of carbon fibre suspensions and gearbox of the F1 car. In Australia, he played a key role in developing a patented technology as part of a collaborative project with Airbus and CRC-ACS. He is the first author of 2 active patents related to advanced composite materials. At UQ, he is conducting research in the fields of advanced manufacturing, biocomposites and biopolymers, such as the development of novel sustainable materials based on wood and marine-degradable biopolymer, in collaboration with Norske Skog Paper Mills. In this project he also actively engaged with end users to explore applications and progress their adoption. More recently he has been working on novel materials developments for controlled release fertilisers, in collaboration with various national industry partners. With the aim of addressing the end-of-life management of material wastes, he has also been working to further develop a new technology for the conversion of plastic and organic waste into high value biofuels. Luigi is driven by solution-based research, and in particular bringing latest innovations in materials science to the benefits of a future circular economy. His goal is to provide an expertise at the nexus between materials science and sustainable development to address the challenges of today’s linear economy. Pratt, Steven, Vandi, Luigi-Jules, Gapes, Daniel, Werker, Alan, Oehmen, Adrian and Laycock, Bronwyn (2019). Polyhydroxyalkanoate (PHA) bioplastics from organic waste. In Juan-Rodrigo Bastidas-Oyanedel and Jens Ejbye Schmidt (Ed. ), Biorefinery: integrated sustainable processes for biomass conversion to biomaterials, biofuels, and fertilizers (pp. ---) Springer International Publishing: Springer. Heitzmann, Michael Tobias, Torres, Juan Pablo, Vandi, Luigi-Jules and Schaber, Sarah (2015). Probabilistic design: a new approach to look at composite design. In: Composites Australia and CRC-ACS Composites Conference and Trade Show 2015, Gold Coast, Australia, (). 21-23 April 2015. Virk, Amandeep, Vandi, Luigi-Jules, Meeuwissen, Marieke and Heitzmann, Michael (2012). Bond surface analysis using Fourier Transform Infrared Spectroscopy (FTIR) and X-Ray Photoelectron Spectroscopy (XPS). In: 'Diversity in Composites' : Proceedings of the 2012 Composites Australia and CRC-ACS Conference. Diversity in Composites 2012 Conference, Blue Mountains, NSW, Australia, (). 15-16 March 2012. Vandi, Luigi-Jules, Heitzmann, Michael Tobias and Humphry, Jarrad (2016). Process for preparing a hybrid thermoplastic/thermoset polymer material. .
Vandi, Luigi-Jules, Heitzmann, Michael and Paton, Rowan (2015). A process for integrating thermoset and thermoplastic polymers. .